The park is huge by anyone's standards. The main park land extends over 178.8 hectares (440 acres), but its total size is 340 hectares. That is the same size as Central Park in New York. It is not your usual tourist destination for a trip to Japan, but there is an extensive traditional culture section. Over 400,000 people per year from all over Japan visit it. The end of April and the beginning of September are both excellent times to visit the park. The weather is cooler and many different flowers are in full bloom. 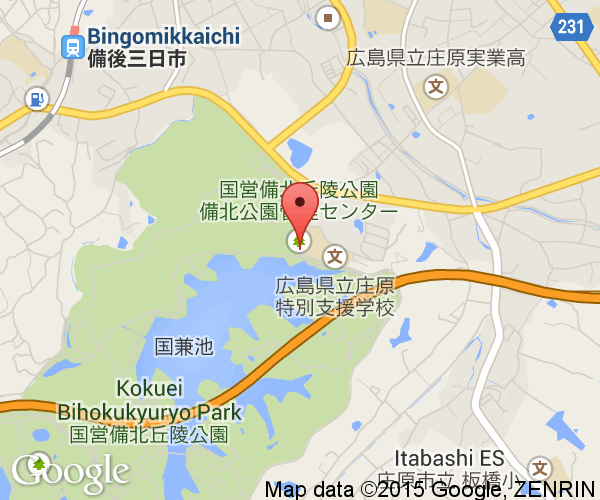 There are buses that leave from the Hiroshima Bus Center and go to the park. 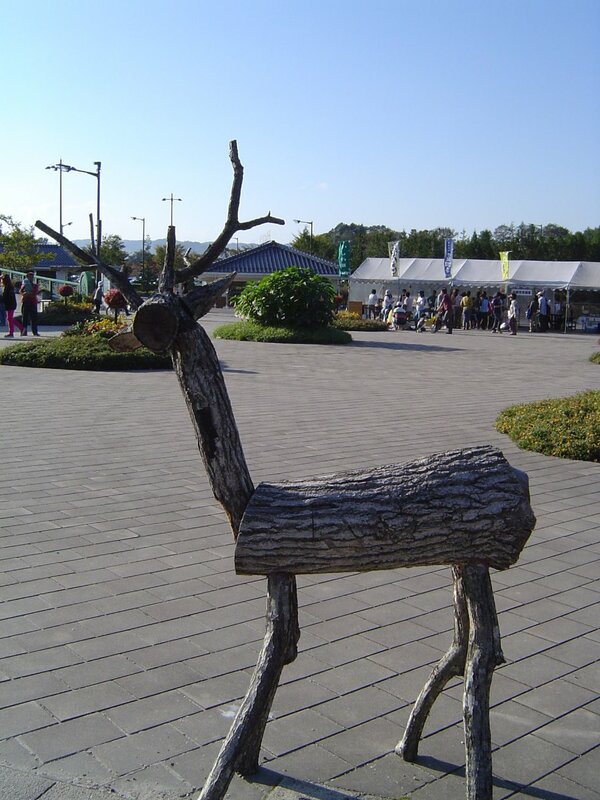 Park entrance fees are only 400 yen for an adult and 80 yen for children. Parking is extra. Except in the winter, the park always has a display of flowers. 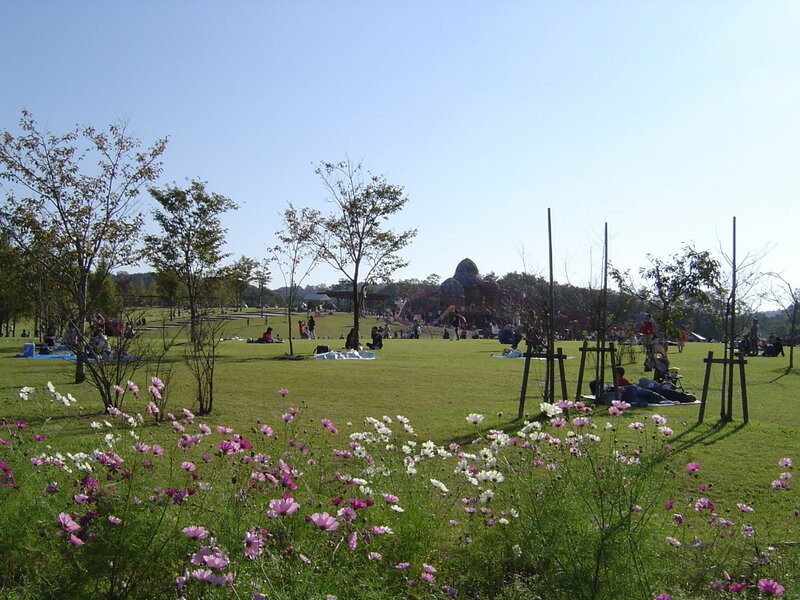 There is a large flower garden (Hana no hiroba - Flower Plaza) with a lookout for viewing them, a cypress forest (Hiba no Sato - Cypress Village) and a number of other areas with flowers. 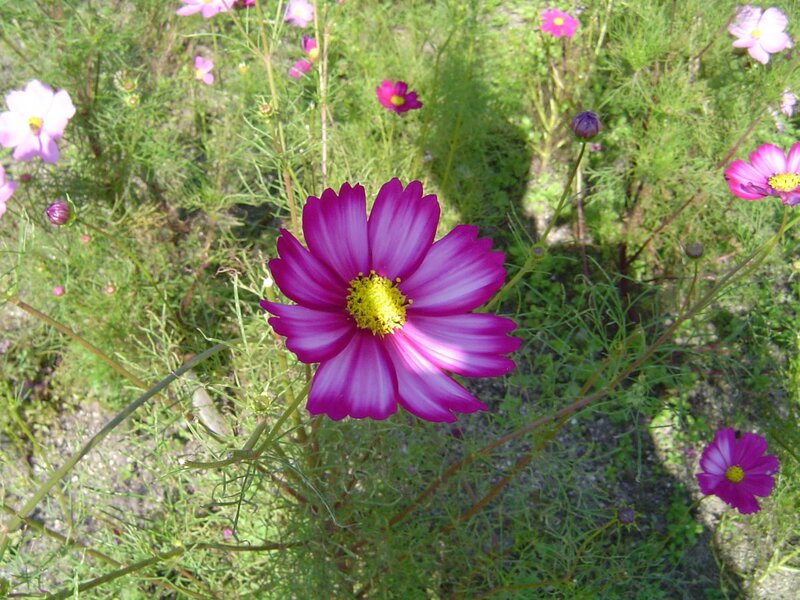 The cosmos are especially popular. The following table is a translation from the official site. '<' and '>' indicate the flower is in bloom towards the end of the month or the beginning of the month. These dates are not perfect as flowers bloom when they want to. One of the largest part of Bihoku is the area where it gets its name from. 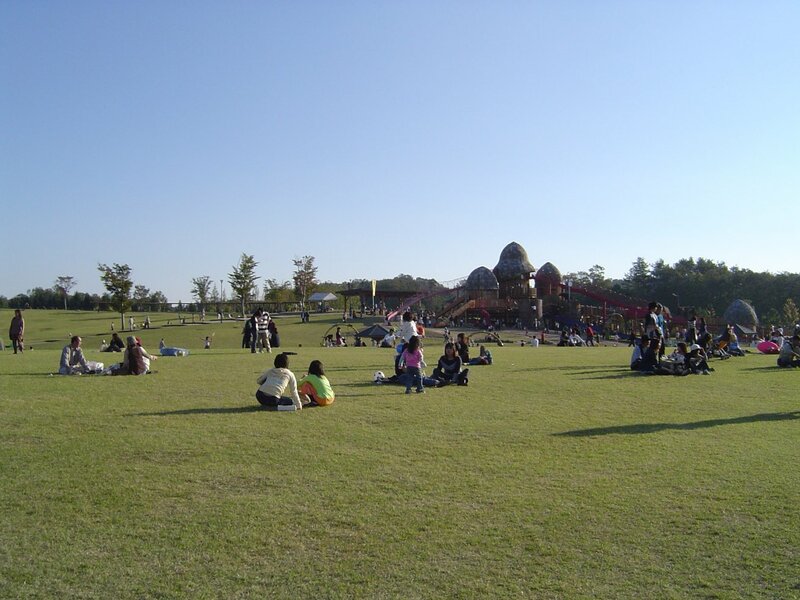 The large hillside lawn is used for all kinds of activities. Many people come there just to play catch and kick a ball around. There is a gigantic children's adventure playground, a Frisbee golf course and a grass slide down the hill. Large concerts are held on the stage at the bottom of the hill during the summer months. There is a bike course, a golf course using mallets and big balls, another grassy area for sports and another adventure playground. As well, there is a small water park and a wading pond. They had rental canoes you could paddle around the lake in when I went. Finally, there is a traditional culture section where traditional activities are shown and you can look at reproductions of old farming and mining buildings. 5-star camping facilities and cottages for overnight stays are available in the "Auto Village" but reservations are required. Every year during December, Bihoku National Hillside Park in central Hiroshima Prefecture puts out the lights to create the largest and finest display of lights in the region. Around 220,000 light bulbs are used to create the Winter Illumination. 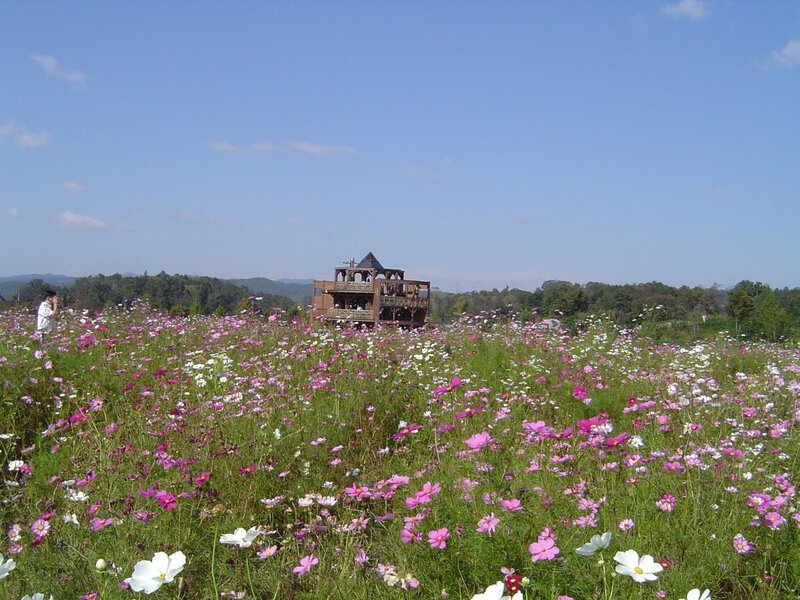 Bihoku National Hillside Park is in central Hiroshima Prefecture. It can be reached by local roads (route 54 from Hiroshima City) or via the Chugoku Expressway. It is about 10 minutes by car from both central Shobara City and from Shobara Interchange.